Good looking truck. Truck needs wet kit. Trailer needs a rolling tarp. Fifth wheel is not very sturdy. Other than that, it is a very good match between the truck and trailer. cool durable truck. needs a tarp. truck needs a wet kit tank.it looks bold and heavy duty . truck could use a set of floats for the front. it also needs a bug shield. 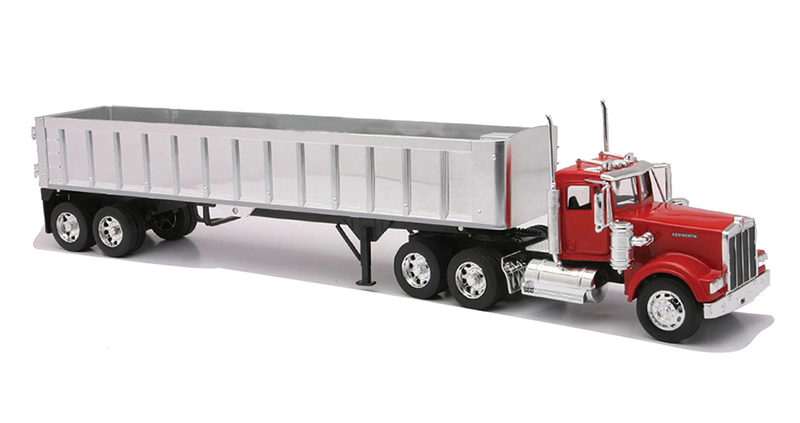 Needs a better fifth wheel because if hooked and unhooked often it ruins the prongs an pulls the plate off the truck. The truck really needs a wet kit tank. It could also use a bug shield and full or at least half fenders. This trailer should have a different door on the trailer. Other than that it is a pretty good looking truck.